I was working on slider cards this week, the coloring went smoothly, but I struggled with the slider mechanism and proper placement. And I needed to get them in the mail. It took me a few days to complete them. While I was working on those, I had this week's Diva Challenge in the back of my mind, which was a duo tangle of 'NZeppel vs Flux. 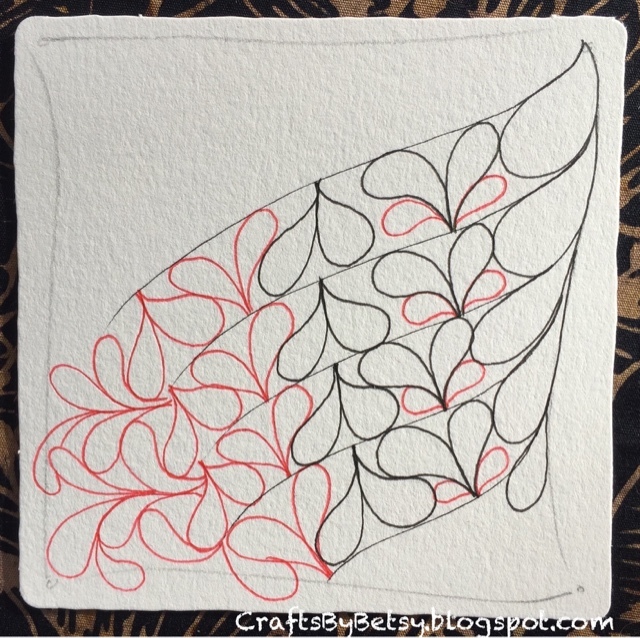 I love the challenge of duo tangles as I try to somehow combine the tangles if I can. 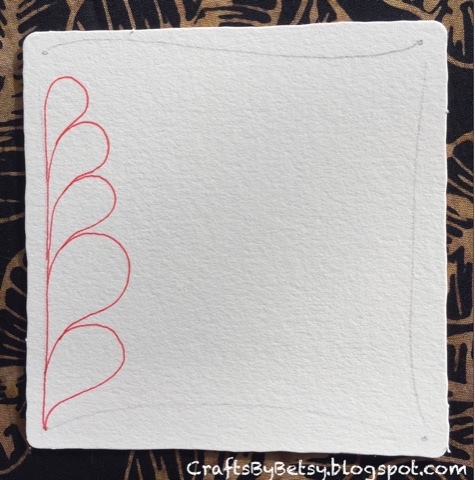 The trick to 'NZeppel is to think of that fill shape as a balloon expanding to fit the grid. I knew with the duo tangle that I wanted to try having the fill shape be Flux. But what I had in my mind was a more structured grid. When I finally got those Halloween slider cards done and in the mail I sat down to give the duo tangle a try. This is what poured out of me instead. And it did just pour out. 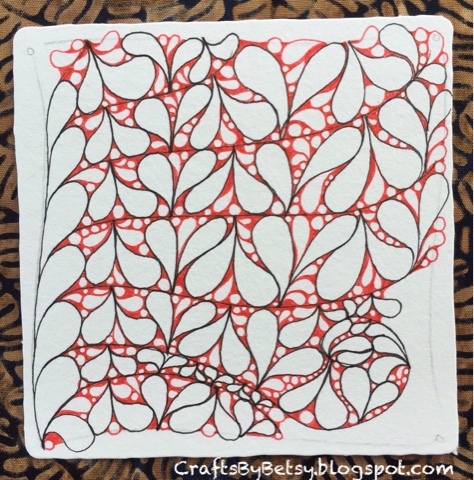 Those moments when the Zentangle takes control and you just follow along, are the best! The contrast between struggling with the cards and then the duo tangle just happening was amazing. Here is my first attempt in my bullet journal. Add some Flux along the edge. I suggest starting fairly large. 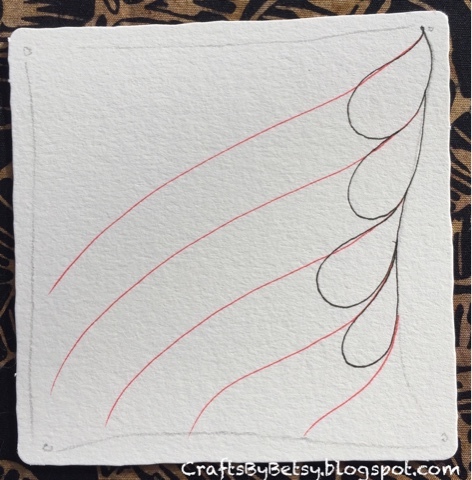 Rotate your tile 180 degrees and add the strings. I did mine in ink, but you could choose to do it in pencil like a typical string. 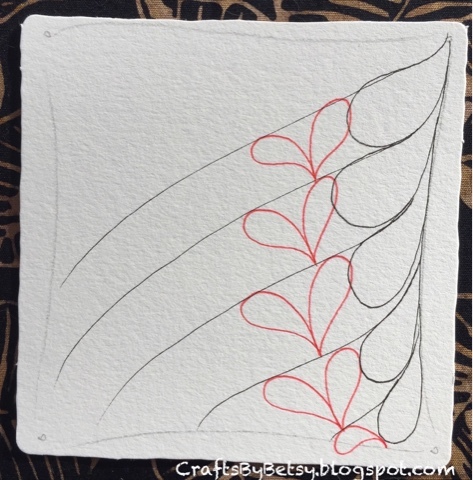 As you draw the lines, think of the take off and land technique and have the lines follow the flow from the Flux shape. Note, I like to pull my lines down which is why I rotated the tile. Situate the tile to whatever is most comfortable for you. Add another row of Flux and then mirror its shape. Have the Flux fill the space by trying to touch both the string and the neighboring Flux. Notice the Flux shapes themselves are creating their own grid. Continue rotating your tile and adding the Flux shapes. Add more Flux shapes wherever there is room. You can venture away from the string if you'd like, just try to keep the Flux in tight against its neighbors (remember the trick to 'NZeppel). Remember to keep rotating your tile and keep filling in with Flux. I really like adding in a little Tipple here and there too. And coloring in the remaining bits adds dimension. Maybe some rounding here and there. 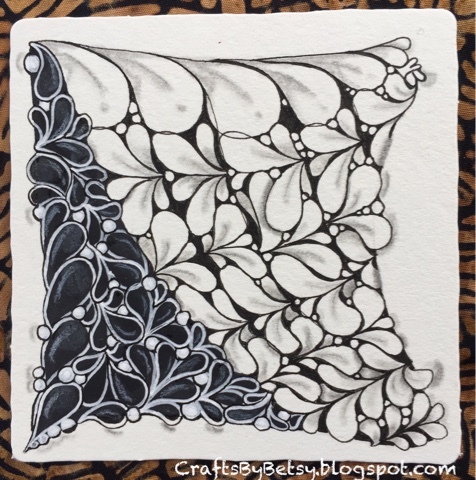 Whether you give my version of the duo tangle a try, or create your own, be sure to check out the other versions on either The Diva's blog or on the Mosaic app. Thanks for your comments, they make my day! Your tile is very beautiful! Thanks for the step out. I agree with the others: your challengetile is wonderful and very original with a white and a black version in just one tile! Gorgeous tile! Great contrast and wonderful movement! 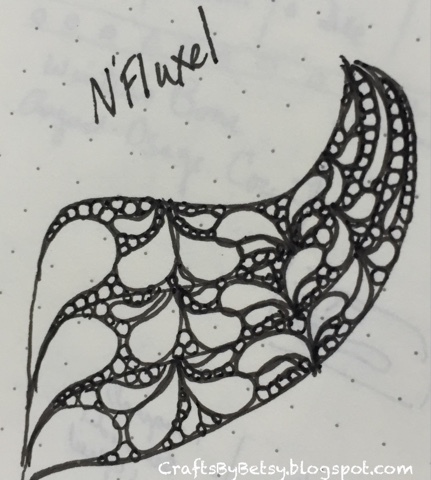 I love your N'Fluxel!! Such a great take on the challenge. I love the contrast between the black and white. And the light shading is perfect. I'm going to play with your version! Love your work! Your Challenge tile is so beautiful! Wonderful shading! 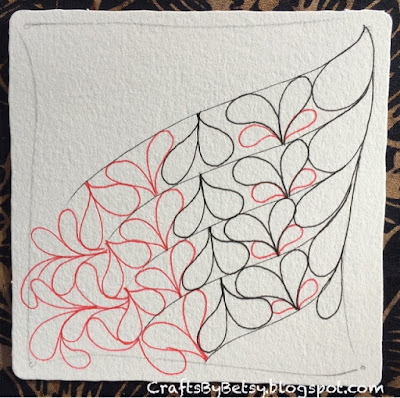 What a loely idea to mix the tangles ti 'Nfluxel. The Name is just funny and the tile is beautiful! Oh Betsy! This is brilliant! Thank you for sharing your process. I love your art! Thank you for sharing ,Betsy! It's really brilliant! 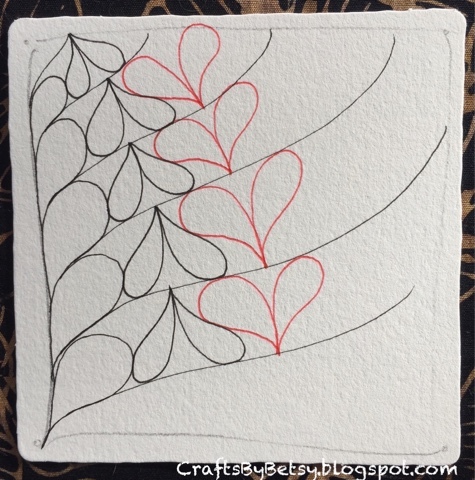 I love your tile! The idea! The name! And that you share it with us! Thank you Betsy! Always so creative :-) !! !